Remove a bee sting using a credit card to scrape it in a side to side motion. Ibuprofen (Advil, Motrin), acetaminophen (Tylenol and others), and topical analgesics to help relieve pain and itching. Some people are highly allergic to some bug bites and stings, and they can cause a severe allergic reaction called anaphylaxis. 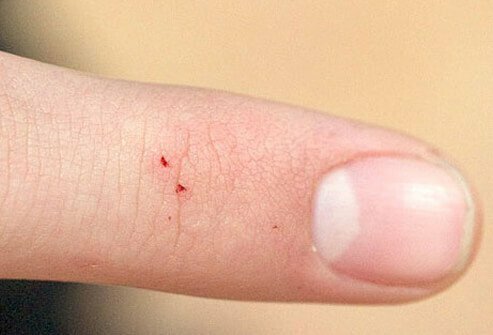 Some bugs can cause diseases like Lyme disease, which is caused by a tick bite. 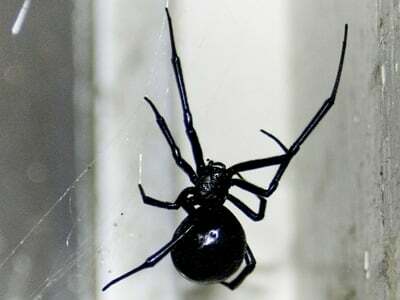 What type of spider bit you, and did you have a reaction? What was the treatment for your spider bite? Please describe your symptoms associated with a spider bite. 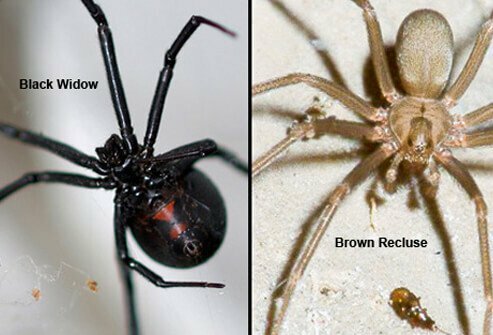 Have you or someone you know ever been bitten by a brown recluse spider? Please share your story. 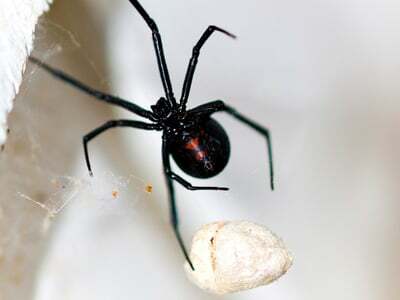 Have you or someone you know ever been bitten by a black widow spider? Describe the experience. Anaphylaxis is a serious allergic reaction that affects a number of different areas of the body at one time, and can be fatal. Causes of anaphylaxis can be food allergy, latex allergy, allergy to insect or but stings/bites, asthma, or other materials or conditions. Symptoms include flushing, itching, hives, anxiety, rapid or irregular pulse. Severe symptoms may be throat and tongue swelling, swallowing, and difficulty breathing. Some disorders appear similar to anaphylaxis such as fainting, panic attacks, blood clots in the lungs, heart attacks, and septic shock. If you think that you may be having an anaphylactic reaction, seek emergency care or call 911 immediately.